- Wings spread and body closely coiled, this little dragon looks ready to spring into action. Although small in size (the pendant is approximately 1" tall), the dragon's legendary strength and will are clearly evident. Sterling silver pendant comes with an 18" sterling chain. 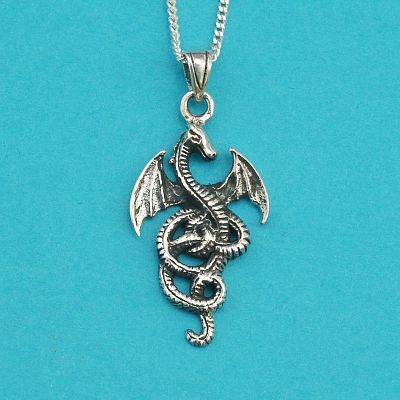 Do you have any other questions about our Silver Coiled Dragon Pendant?